Dr. Kristen Landreville Fri. 10/08, Mon. 10/11, & Wed. 10/13 Laughing Matters, Ch. 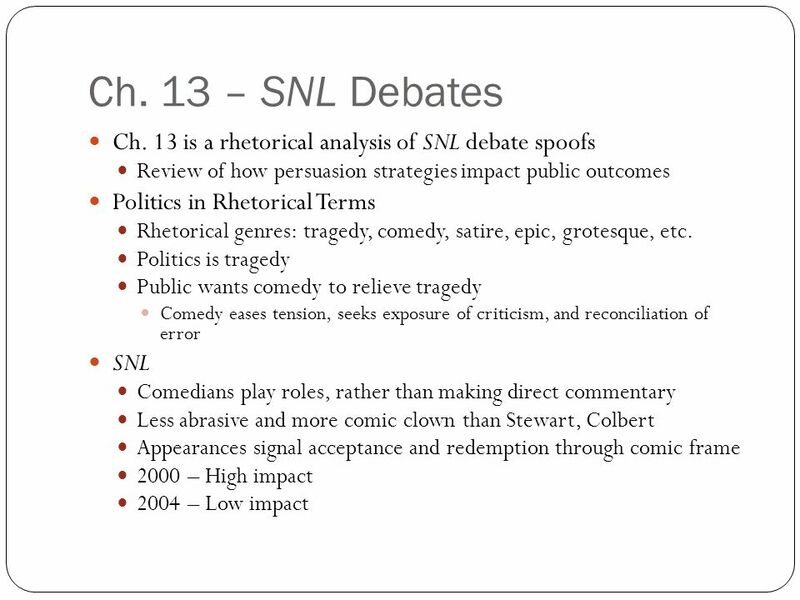 13-14 Politics & Late-Night TV. 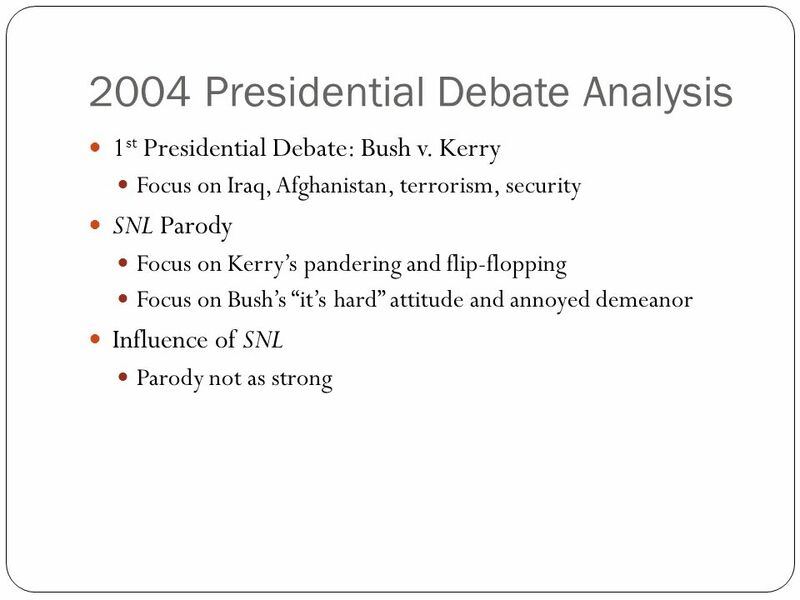 9 2008 VP Debate Analysis Vice-Presidential Debate: Palin v. Biden http://www.youtube.com/watch?v=bOy7FQb2o6k&feature= fvw http://www.youtube.com/watch?v=bOy7FQb2o6k&feature= fvw SNL Parody (go to 9:45) http://vodpod.com/watch/1059829-snl-biden-palin-debate In-Class Assignment #10 How does SNL parody Palin and Biden? What characteristics are exaggerated? 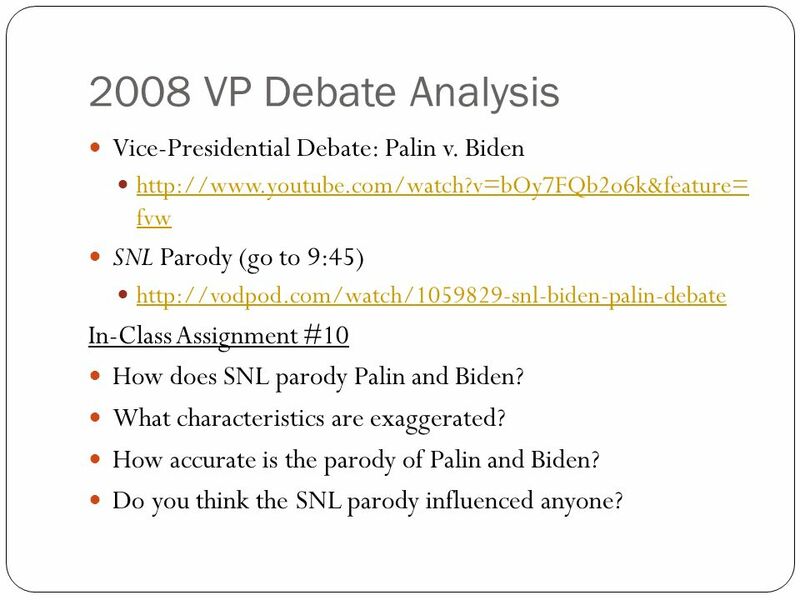 How accurate is the parody of Palin and Biden? Do you think the SNL parody influenced anyone? 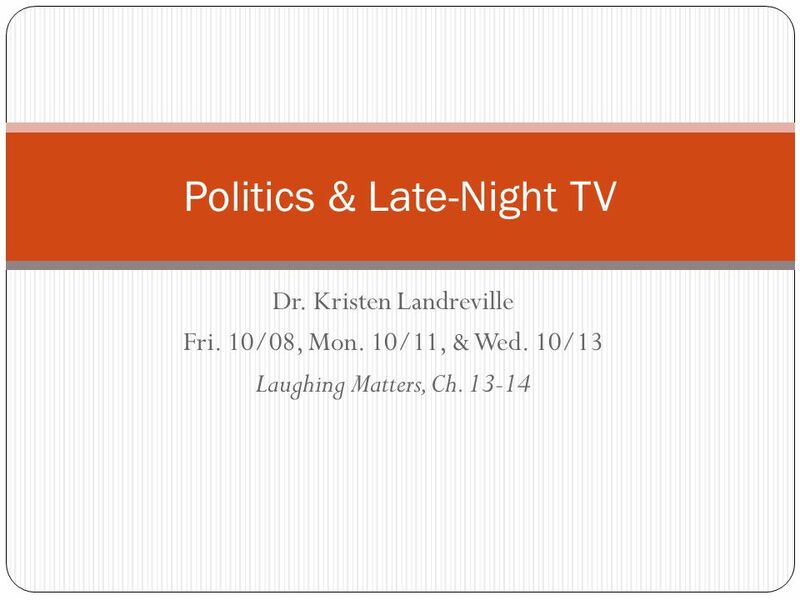 Download ppt "Dr. Kristen Landreville Fri. 10/08, Mon. 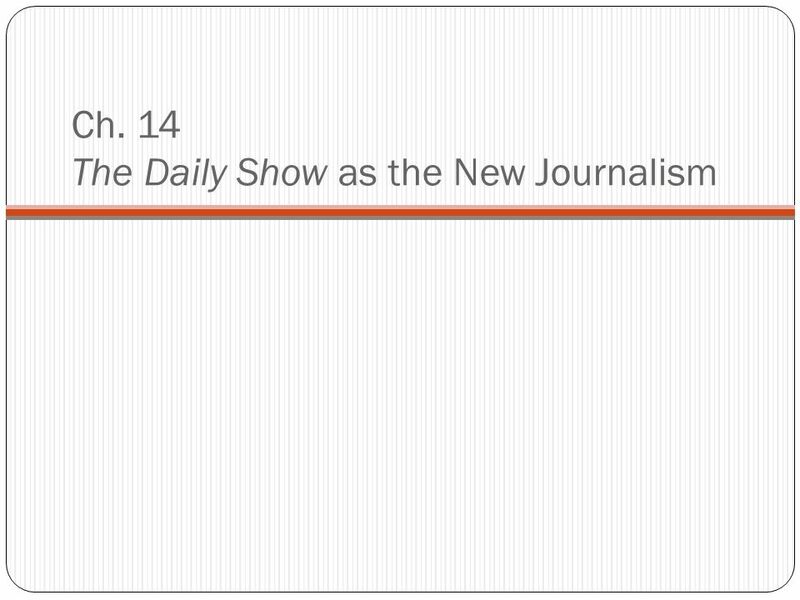 10/11, & Wed. 10/13 Laughing Matters, Ch. 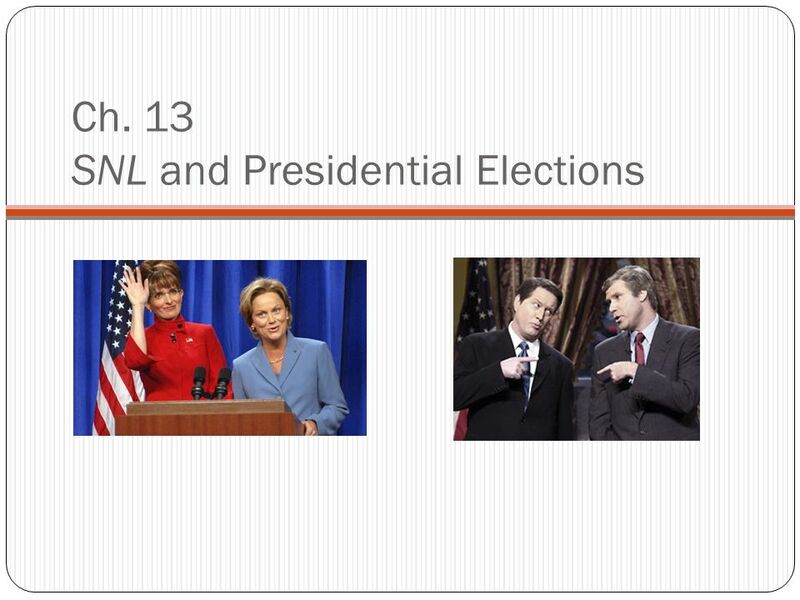 13-14 Politics & Late-Night TV." 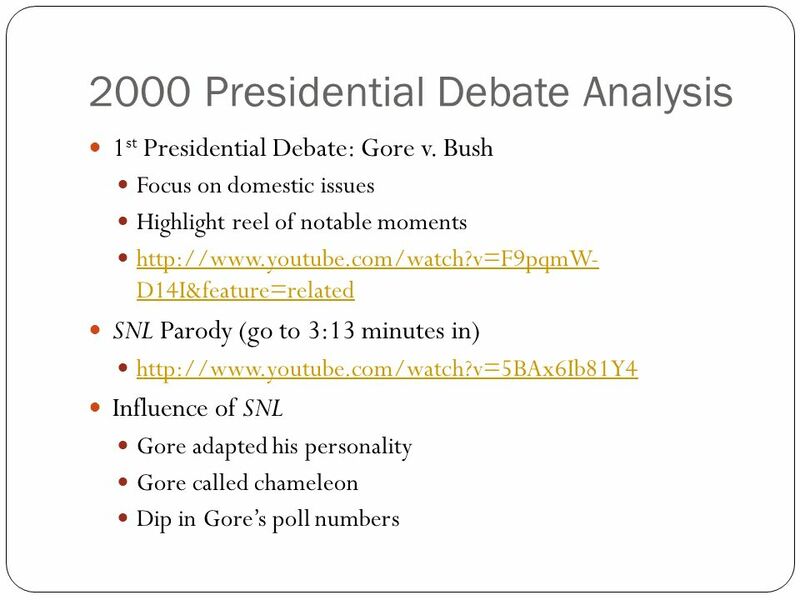 Essential Question: – In what ways did the 2000 election & the September 11, 2001 terrorist attacks impact America during the presidency of George W Bush? Bennett, Ch. 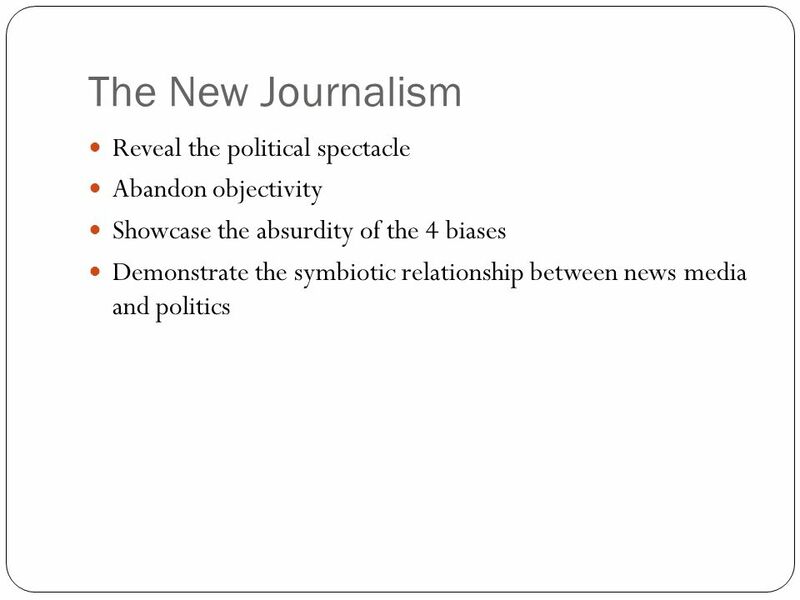 8 THE FUTURE OF NEWS: SOLUTIONS FOR CITIZENS, POLITICIANS, & JOURNALISTS. Dr. Kristen Landreville Mon. 9/27/10. The relationship between (1) business, profit- making, and production and (2) government, laws, and politics. Focus. 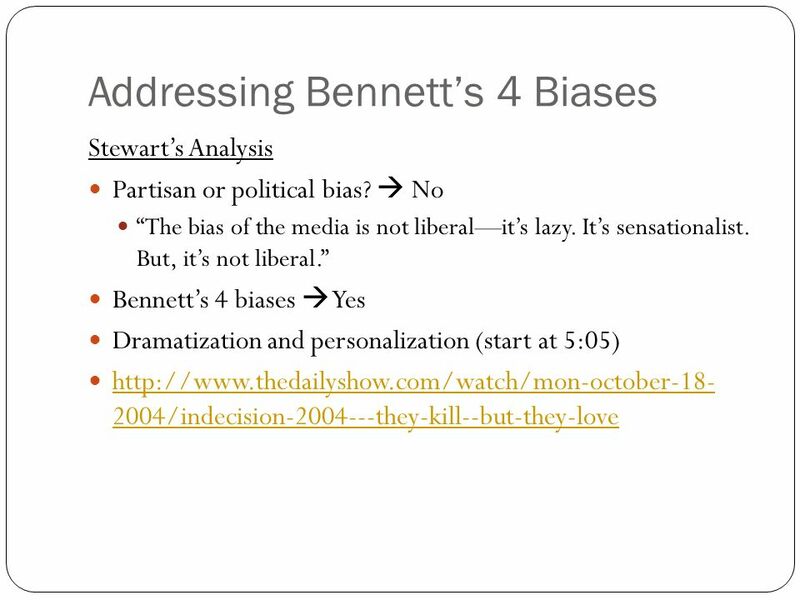 Three kinds of agenda setting: MediaPublicPolicy Focus of this talk is on who or what sets the news media agenda. Most studies so far focused on public. The Media. 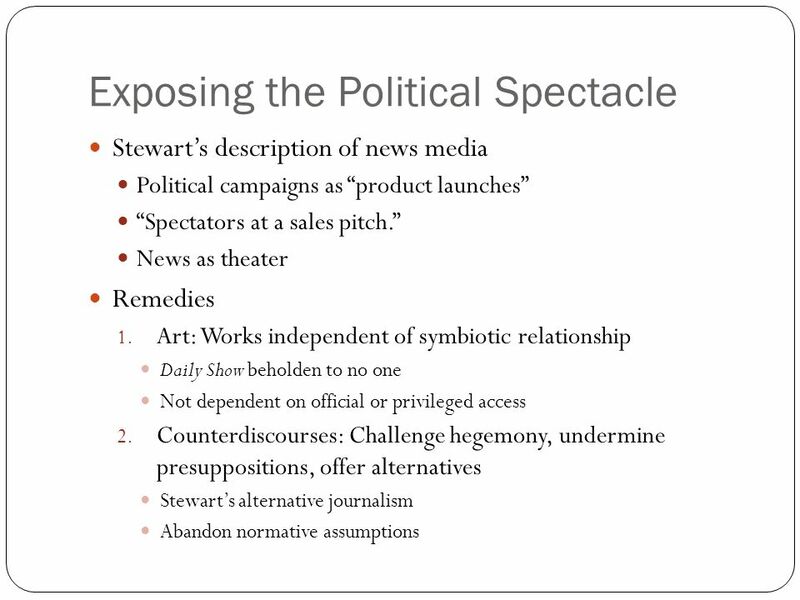 The Medias Functions Entertainment Reporting the news Identifying public problems Setting the public agenda The investigative function Socializing. Copyright © 2011 Pearson Education, Inc. Publishing as Longman. Erinn Lauterbach Feb. 28, 2014 Chapter 5: Hearing the Other Side and Standing Firm Arceneaux and Johnson. 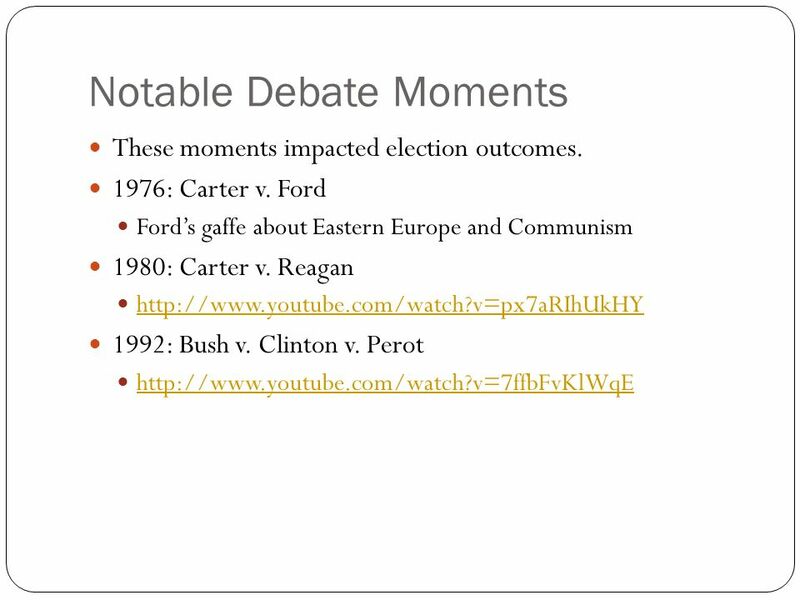 READING: CHAPTER 9 Public Media and US Foreign Policy. Monetarism And the Political Business Cycle. Monetarism MV = PQ months In the long run, increases in M affect nothing but P (and W). 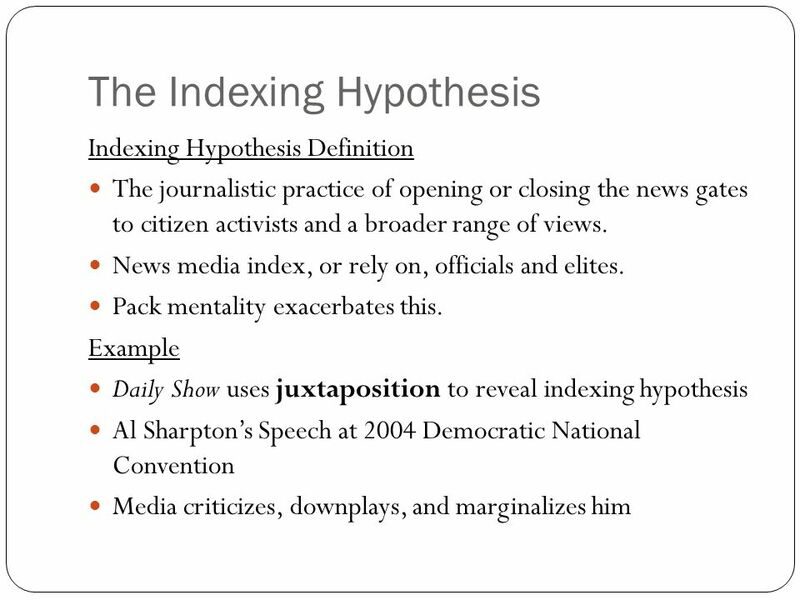 MEDIA AND POLITICS “Do you Folks know the difference between a horse race and a political campaign? In a horse race, the whole horse runs. “ Senator Alan. 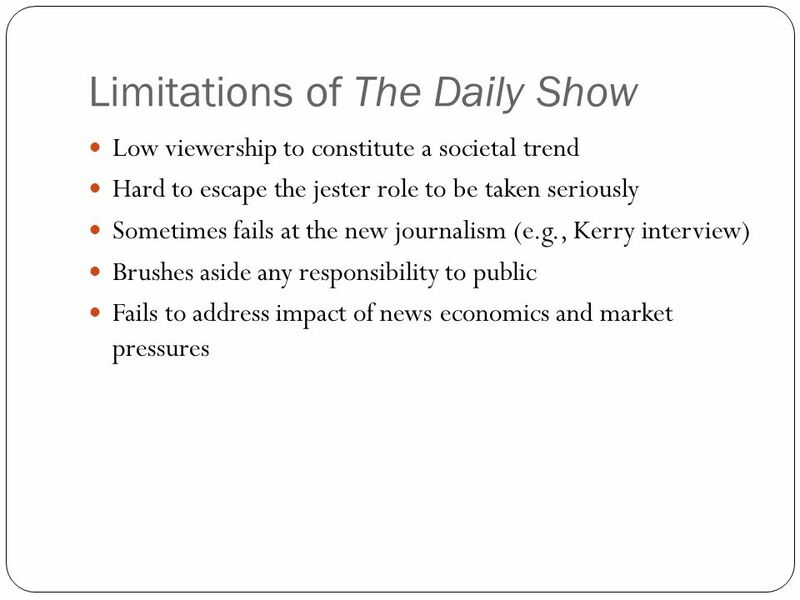 HOW DO WE KNOW WHAT SHOW TO SEE?. WHAT TYPES OF PLAYS CAN YOU GO SEE? ARE ALL PLAYS GOOD? 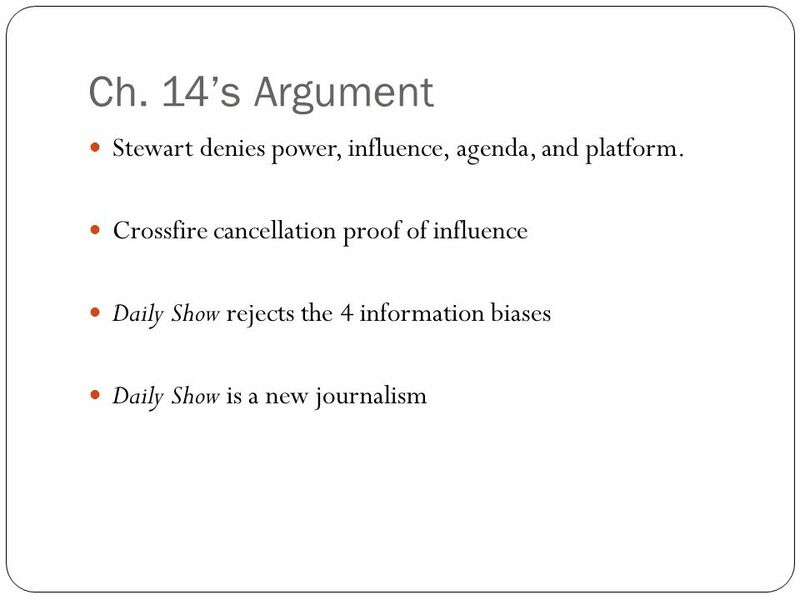 Chapter Eleven: The Media and Cyberpolitics 1. 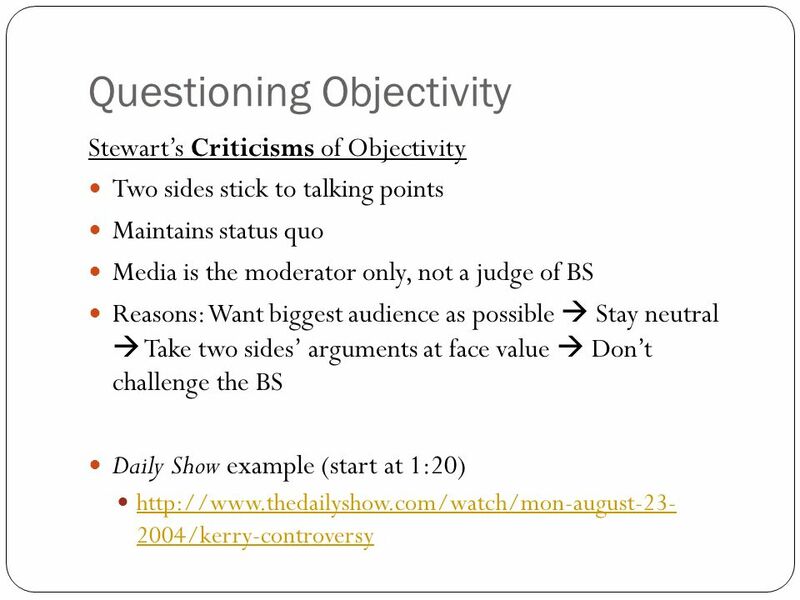 Learning Objectives Identify the major functions performed by the mass media in our society, including. 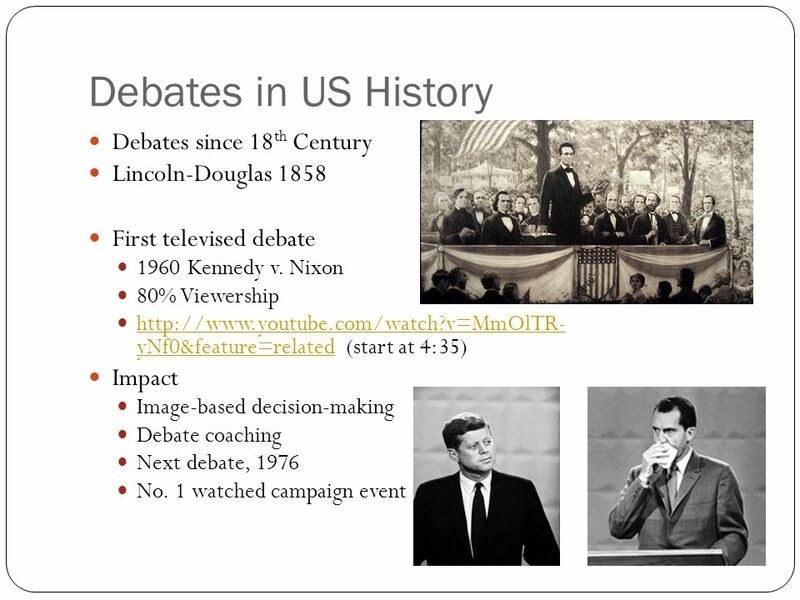 The Public between elections: A Check on Presidential Power? Strong Two Party Politics in the Industrial Heartland.